This elaborate Senor Bones Mask is the superb way to finish off not only a Day of the Dead or Halloween costume this year. This full face mask is perfect for both men and women with its brightly coloured traditional day of the dead detailing. This Senor Bones Mask is secured by elastic meaning this mask will fit all. 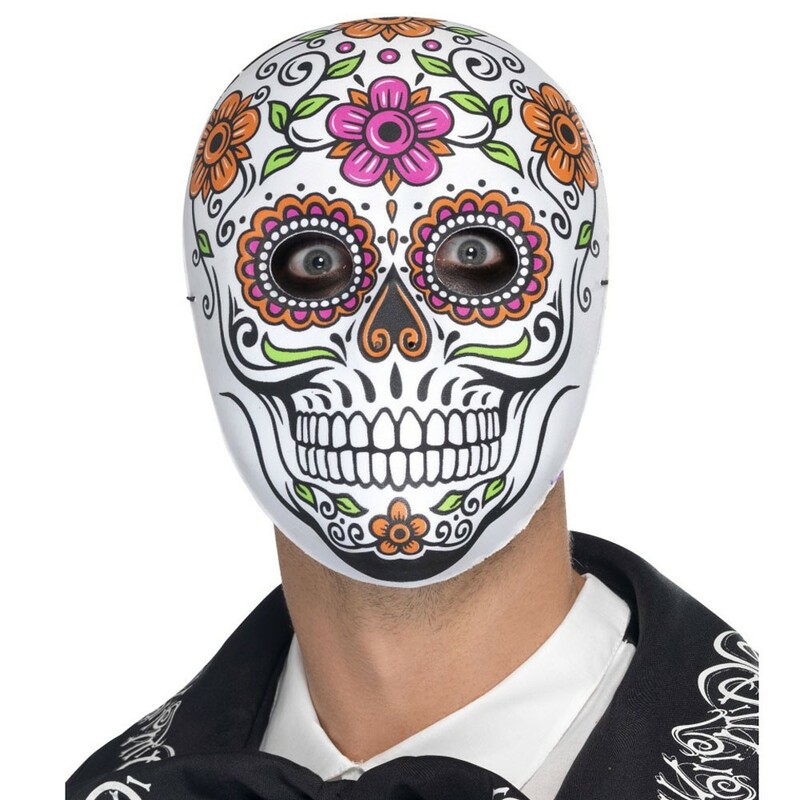 Try combining with the Day of the Dead Senor Bones Costume for a truly authentic Day of the Dead Costume with this Senor Bones Mask this Halloween. This is available in One Size to Fit Most Adults. A Senor Bones Mask with traditional Day of the Dead detailing.